Mix almond meal, paprika, and parmesan cheese together on a plate. 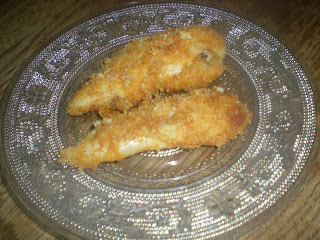 Rinse a piece of chicken under cold water then roll in almond mixture. Place on prepared cookie sheet. Repeat with remaining chicken. Cook in oven 20 - 30 minutes for chicken tenders, 45 minutes for chicken breasts.